All accepted abstracts will be published in the conference materials in both printed and electronic forms. The abstracts have to be sent until 31st July 2019. The abstracts should be prepared in form of unformatted text between 200-250 words, with title, authors, afiliations and 5 key words. An example can be found here. 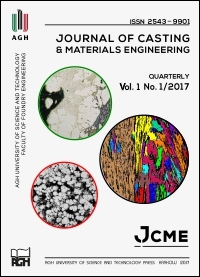 Articles will be published after a positive review in the Journal of Casting & Materials Engineering (JCME).